Rummin Productions brings together a highly cinematic collection of award-winning films about Tasmania and extraordinary Tasmanians. 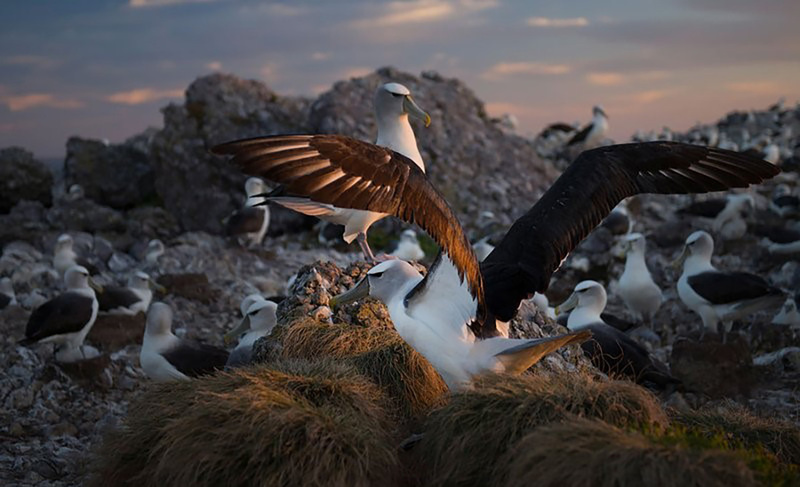 namanu rruni | Albatross Island, winner at the New York World Conservation Festival, is a magical visit to the home of 5200 breeding pairs of Shy Albatross. Lowest to Highest, in which five friends with disabilities attempt a 2,150km world-first, cycling from Australia’s lowest point to the summit of Mount Kosciuszko. In Returning patrula / fire, members of the Tasmanian Aboriginal community practice traditional patch burning on a Midlands grazier’s property. Multi-award winner (including BOFA 2016) Doing it Scared, follows Paul Pritchard in his attempt to ascend the iconic Totem Pole. In Skullbone Plains, ten of Australia’s top artists find inspiration in the ancient, glacial landscape of the Central Highlands. You’ll love these wild places and inspiring Tasmanian stories. THERE WILL BE A Q & A WITH ONE OF THE PRODUCERS OF FROM LITTLE THINGS FOLLOWING THE SCREENING.